After Face Lift Model of Toyota 150 PRADO got the tuning program by WALD International. The style of the front and rear spoilers are the add-on "SPORTS LINE” Design. To enhance the quality of the products and make the easy installation, ABS Material is adopted. The Accent Chrome Garnish create the high-class air on the body. 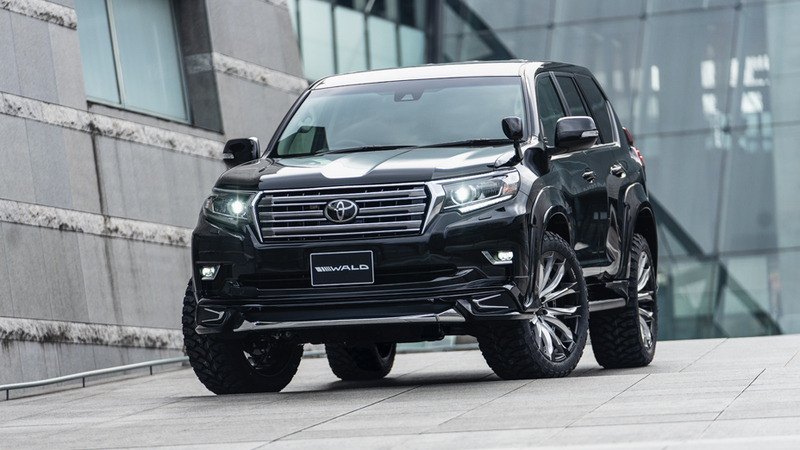 By developing the 45 mm width (One Side) Over Fender, the aggressive style can be on TOYOTA 150 PRADO. The Exclusive Size Wheel is set up for the Over Fender. In addition to the extra modification, the Dual Side Muffler is developed for the heavy exhaust sound.